This is the recipe that our mom always made at Thanksgiving when I was growing up, and it's one of my favorites. 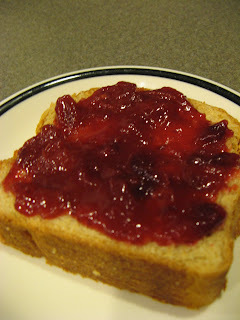 As soon as I start seeing cranberries in the stores, I start craving this. I like it way better than the canned version. 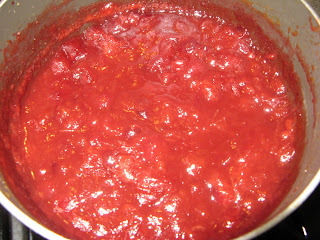 Heat over medium to medium-high heat, stirring every once in a while. 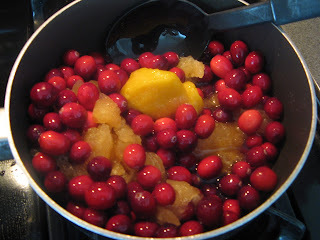 The juice will melt, and after about 5-7 minutes the cranberries will start bursting (you'll hear the little popping noises - it's my favorite part!). 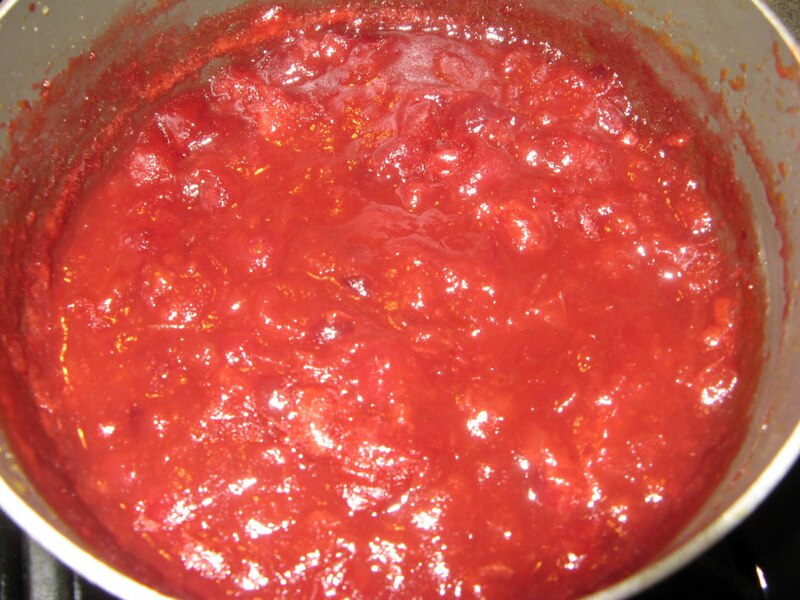 It will also continue to thicken a little bit as it cools. *I think the original recipe calls for one of the extra-large cans of apple-juice concentrate, and no orange juice concentrate, but we like it with the extra orange flavor. **I like it tart, but you can add a little sugar if it's not sweet enough for you. ***This would probably be really good with the rolls in the last post. Ooh yum. 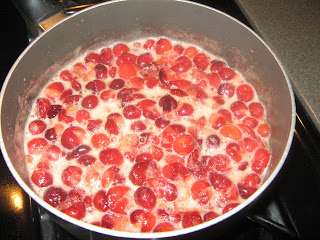 Does anyone have the cranberry jello recipe? I'm thinking I need to make that.